Have you created an email signature in HTML, only to find that the signature is inconsistent in different email clients? There’s some good news and some bad news. The good news is that many of the problems can be fixed by implementing the solutions in this email signature troubleshooting guide. The bad news is that not all of them can be fixed. If you really get stuck, you could always give our email signature generator a try. After all, it’s free to use. This would not work if there is text within the same <td> element but text should not be there in the first place since it should be in it’s own <td> element, separate from the image. In testing, if you send an email from Outlook 2016 to Gmail and then back again, we haven’t found a way to remove the gap when viewing the email signature in Gmail. Solution: Remove the horizontal and vertical resolution attributes from the image properties. 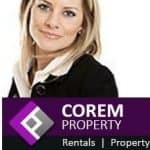 First, view the properties of the image (in Windows, right click on the image > Properties > Details tab), be sure that the horizontal and vertical resolution are not set. You will need to use an image processing tool such as Photoshop to remove this data from the images. This is because Microsoft Outlook scales the images using the values in these fields. So, if the email recipient has their Windows desktop set to 100% scaling, and the image is 96dpi, there will be no scaling and everything will be okay. However, if the desktop is set to 110% scaling, a different value is needed or Outlook will still scale the image. Microsoft Surface devices are known to be problematic with email signatures as they automatically set the Windows scaling to around 200% to compensate for the size of the screen on the unit. This can have a huge impact on email signatures not displaying correctly and they will often look skewed if Windows scaling is set to anything more or less than 100%. Solution: Set the image height and width attributes on the <img> tag without units such as px. For example <img height="60" width="120">. Be sure that these attributes match the actual dimensions of the image in pixels. So if your image is 10 pixels tall, the image tag should have a height attribute equal to just “10” without any units. Solution: Ensure your image resolution is set to 96 DPI and your display scaling settings are set to 100%. 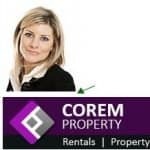 If the images in your email signature don’t look as clear as they should, there are a few things that need to be considered. Firstly, you will need to check your display scaling to make sure it is set to 100%, and that your images are set to 96 DPI. Solution: Make sure your email client is set to compose new emails in HTML format and if needed, change the email formatting on each incoming email that has been formatted in plain text / rich text format. Check that your exchange server is not automatically converting your outgoing emails to plain text. Sometimes your email signature will come up in plain text and not be displayed like it was when you first created it. This happens due to the email in question being composed, or converted to plain text / rich text format. 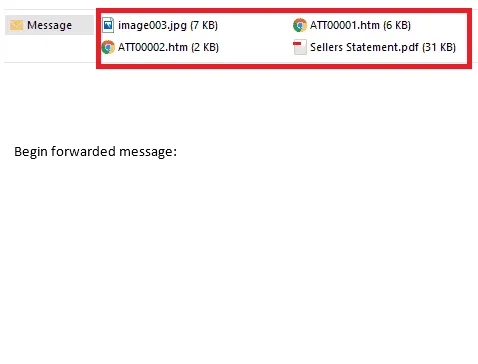 When this happens, Outlook will automatically convert any images that were in the email signature, into attachments. Solution: Ensure you put a Non-breaking space (&nbsp;) in front of the element that is getting changed in Outlook. 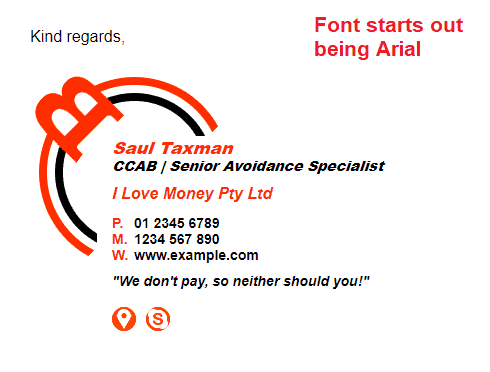 Also, ensure that sans-serif is not the last font in the font-family or any other font property. Always have another font as the last one, otherwise Outlook will convert it to Times New Roman. This is an issue that has been plaguing Outlook for quite some time, and it can be a very difficult problem to fix, unless you know where to look. The versions of Outlook it affects is 2007, 2010, 2013 and 2016. This also depends on the platform you are sending the email from. For example, if you send from Outlook for Mac to Outlook 2016 in Windows, the problem likely wont appear. However, if you send from Office 365 to Outlook 2016, you will notice the problem come up. So it’s easier to understand what the problem actually is, we will first illustrate with some pictures on the right. 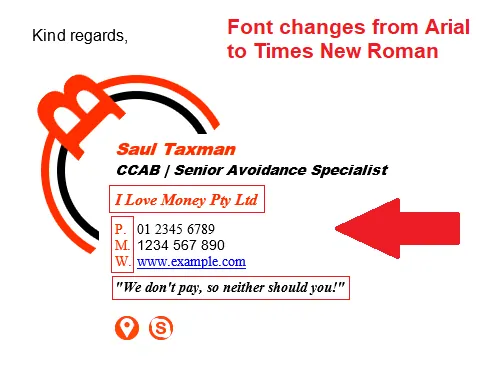 Notice the difference in the fonts from the original sent email signature, and the one that was received in Outlook 2016? The original email signature was sent using Arial font and Outlook converted it to Times New Roman. Thankfully, there are a few known working fixes for this issue, but the problem is that sometimes you may need to try a couple of different fixes in order to figure out which one works for you. Solution: Set your Trust Center settings in Outlook to allow automatic download of images in email messages. Outlook has a security feature that is enabled by default which prevents images from being automatically downloaded on all incoming emails. Solution: Ensure your email signature has less than around 10,000 characters and you are using Google Chrome or Internet Explorer when updating the signature in Gmail. Gmail will display an error message saying “Sorry, the signature for <your email address> is too long. Please try a shorter signature.” if your email signature is greater than around 10,000 characters. If your email signature has more than 10,000 characters, you will need to lower the character count for it to work with Gmail. Solution: Edit the OWA Mailbox Policy permissions and allow Email signatures as a feature. 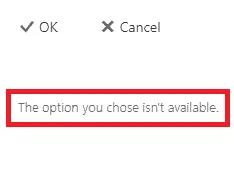 When trying to add an email signature to Office 365 OWA (Outlook Web Access) you may notice the Signature section is missing, grayed out, or you may see a message like “The option you chose isn’t available”. This is because the feature is disabled in your OWA policy. There is an easy way to fix this if you have administrative rights to your Office 365. Solution: Use Google Chrome to copy your email signature. 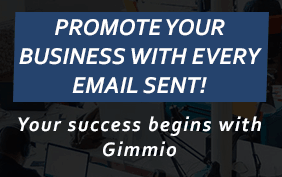 When creating an email signature in Gimmio (or any other email signature generator), you may get formatting problems when pasting your email signature into your email client. The most common reason for this happening is that your browser isn’t copying all of the HTML tables in the email signature. 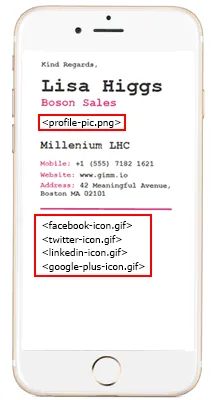 For example, if you are using Gimmio with the Safari browser and you attempt to copy the email signature, Safari will not copy all of the HTML tables, and the formatting of the email signature will be broken when you paste it into your email client. The solution is to use Google Chrome when copying your email signature, this will ensure that all HTML tables are copied correctly. Solution: When installing your email signature, ensure you untick the box at the bottom of the signature preview window which says “Always match my default message font” as this will turn your email signature into plain text format. Sometimes Apple Mail might not display images in the email signature when it is shown in the signature preview window. However, when you compose a new email, the signature should look fine (with images). Other times, the email signature will not show images at all, even when you compose a new email. There could be various reasons and ways to fix this. Solution: This is normal Thunderbird functionality. Thunderbird will often show red borders inside and around the email signature when you compose a new email. Those borders will not be visible to your recipients, and your email signature will look normal to them. Solution: This is normal Outlook functionality. Outlook, as well as many other email clients, may automatically adjust all links in email signatures to be blue and/or have underlines under them for security purposes. Unfortunately, there is nothing you can do about this, as this is standard Outlook behavior. Solution: This is standard behavior for the Mail App on all iOS devices, such as iPhones and iPads. When replying to emails using the Mail App on your iPhone or iPad, you might notice that the images in the reply are being removed. The images are replaced with the file name instead, eg. <filename.png>.